Many of you probably haven’t noticed because I didn’t announce it, but I have created a special blog called The Breitling Watch for those who would like to read up on Breitling’s shennanigans. I know that many of you can’t bear to listen to the guy and you don’t want to read about him all the time so out of respect for you I do most of my commentary on him there now. Well the other day B apparently discovered it and offered a rebuttal. It was fascinating, to say the least. I would like to extend an invitation to any of you who are interested to check out the new blog and stay up to date on the Tonester. I have discovered that one of the best ways to learn about this investment is to listen to what these guys say and then fact check and document what you find, so this could be educational for you as well as entertaining. The link is under Related Sites on the right. The RV is already in the system and there are economic factors that will trigger the activation, and as they are pushing they are doing recalculations with whatever those factors are, and as soon as it hits a lot of bank people are expecting to go into action (Gary) Whoever designed this system should be fired. The RV has been hung up in this system for over a year now. The only way it can be a lop for us is if it’s a lop for Iraq, which it can not be. The lower denominations they showed with coins two weeks ago prove they won’t lop. (Tony) Iraq will need lower denominations whether they get to $.86 through a revaluation (which isn’t possible) or a lop. Lots of bankers were retiring last summer because they expected the RV, but it has been held up. (It should have happened by now.) Many people are going to quit their jobs after the RV because they won’t want to work for their measly salaries after becoming multi-millionaires. That’s why the banks are putting out memos about this because they don’t want to lose all of their employees. (Tony) Perhaps. Or perhaps they just got tired of scammers getting people all pumped up about buying dinar from them. Every country holds dinar in their reserves. (Tony) I must have missed that document. It’s all done. The only thing we’re waiting for is for things to calm down enough in the middle east. (Tony) And of course things are always volatile in the middle east so you’ve just provided yourselves with ample wiggle room when nothing happens. By the way, didn’t Gary just tell us that economic factors were the holdup as it winds its way through the system? You guys need to compare notes. PTR has sources who talk to people in the US Treasury, the BIS, and the IMF. (Gary) Of course they do! What kind of gurus would they be if they didn’t? I’m sure glad these guys did a “no bull” call. I wonder how a “pure bull” call would have gone? Now if Iraq had 27 trillion in circulation at $3.21 that means they had a monetary base of almost $87 trillion which most economists would tell you is more than the wealth of the entire planet. If you’ll do a bit of research I believe you’ll find that Iraq’s GDP has never been higher than it is now at around $120 billion. Would it make sense for a country with an economy of that size to have a monetary base 725 times larger? ($87 trillion/$120 billion) I believe the figure back then was more like 27 billion dinar at $3.21. I would give WD the benefit of the doubt that he just said trillion when he meant billion except for the fact that he said 37 trillion wasn’t a leap. I think most people would consider Russia to be wealthy in resources, and they’re certainly wealthier than Iraq financially. The only country that produces more oil than Russia is Saudi Arabia. The only countries with more billionaires than Russia are the US and China. Russia’s GDP is about $1.5 trillion compared to Iraq’s at about $120 billion. And guess what, WD? Russia lopped their currency in 1998. Lopping isn’t determined by wealth in resources or finances or anything else. It’s determined by whether or not a country wants to leave their currency in a hyperinflated condition or redenominate to make cash transactions easier. That’s it. I think most people would consider war a catastrophic event. But in addition to that Iraq experienced sanctions and the overprinting of their currency that caused hyperinflation. At the end of the conversation Dave asked WD about taxes and his response was “I’m not a tax person”. It always amuses me when these gurus refuse to take tax questions because you should always consult a tax professional with your tax questions, but for some reason they feel qualified to tell people all about currency speculation. Dude, you’re not a currency guy either. You’re not an investment professional either. You’re just a guy with a mic repeating crap that you’ve read and heard from other dinar people who aren’t professionals either. There’s so much misinformation coming from this guy that it’s stunning. First of all, “deleting the zeros” clearly means a redenomination or “lop”. It’s been done dozens of times over the past century to big countries, little countries, rich countries, poor countries …. doesn’t matter. Currencies depreciate for a number of reasons, and when they decline in value as the dinar has they’re problematic for cash transactions. That’s why countries redenominate. Iraq’s currency depreciated due to hyperinflation. The myth that the US had the dinar devalued from $3.21 to less than a penny was made up by pumpers. 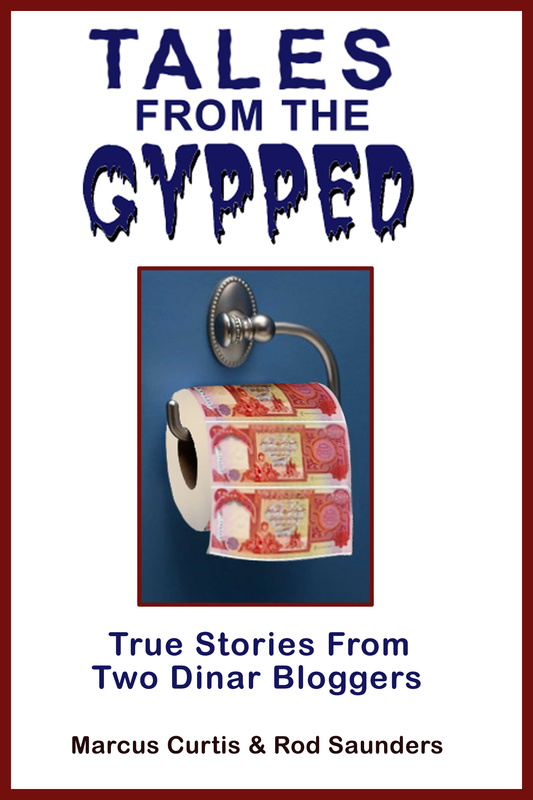 I posted an article recently that told the story of hyperinflation in Iraq back in 1993. On the CBI website the history of the dinar is told and it clearly states that the value was 3000 dinar to the USD back in 1995, eight years before the war. When Shabibi was in Washington last year he stated clearly that the economic conditions in Iraq going back to the 80’s led to them adding zeros to their currency. WangDang didn’t provide one link to support what he said. Dave, if you’re reading this please click on my links. I never expect anybody to believe what I say just because I’m such an honest guy. I expect you to question what I tell you and read the information for yourself. Your 25K dinar note won’t be worth less than it is now until it is demonetized at the end of the alloted time frame for exchanging the old currency, but it will be replaced by a 25 note with the same value from a new dinar series. At the current exchange rate both will have a value of about $21.50. And no, it won’t be worth $75,000 because Iraq isn’t going to revalue to $3 any more than I’m going to marry Kim Kardashian, although I like my chances better. Once again we have the blind guru leading the blind novice currency investor into the ditch. Maybe WangDang believes the tripe that his sources are feeding him, or maybe he’s just making it up. Either way people are getting hurt, and for that he’s this week’s Douchie winner for the first time. If he keeps this up I’m sure it won’t be the last.